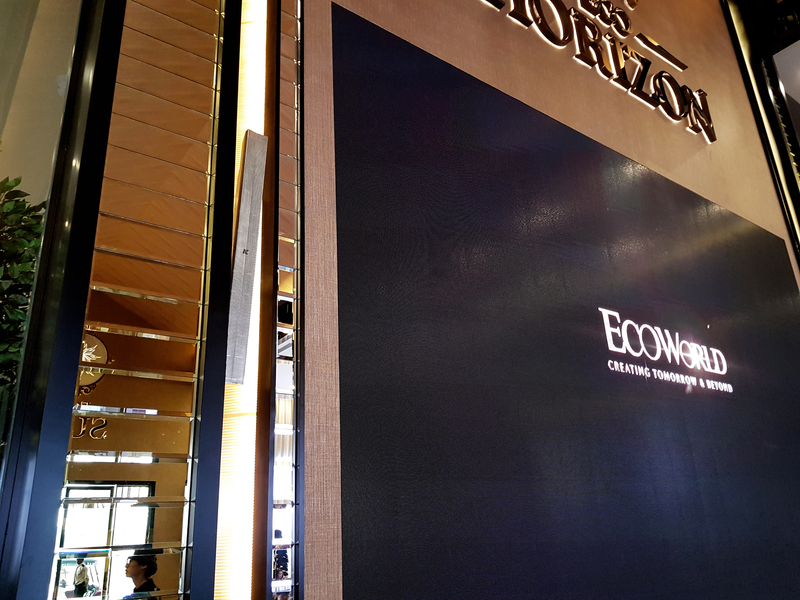 Every year EcoWorld Development Group launches it's latest development project to the public. 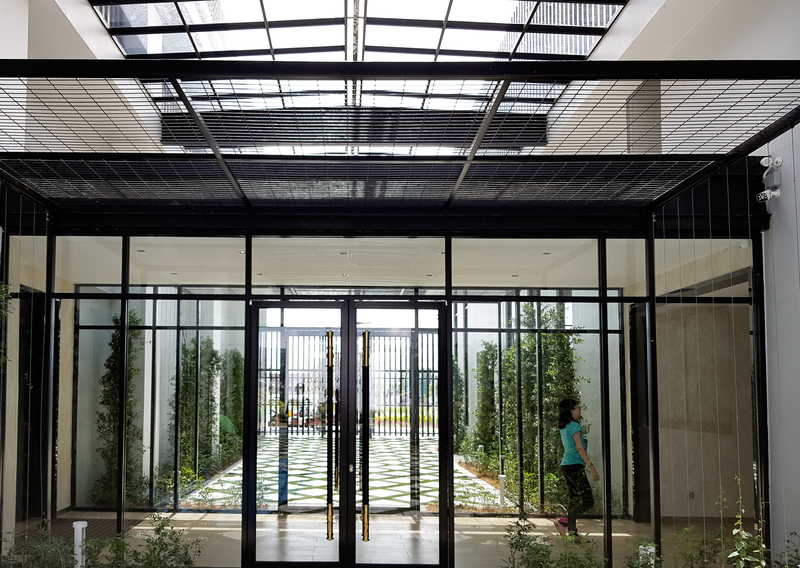 This year the first phase of landed homes was unveiled in its 300-acre Eco Horizon township in Batu Kawan, Penang. The large multi-purpose venue is used for the developer's events, speeches and on-going themed events and was in need of an easy-to-setup system that was invisible and user friendly. The audio required Dante connectivity for flexibility and multi-channel capability without signal loss to desired area. K-array system of Python line arrays in polished silver was selected for its compact design and premium finishes to overcome the challenge of integrating an analog and digital connection through Dante. Tornados were selected for their outdoor weather resistance and a Pinnacle system for its mobility and flexibilty. The entire AV system inside the gallery is operated by the IT department hence, the user friendly operating requirements. With Dante network, it makes the cable connection job much easier compared with conventional XLR connection for a more complex setup. Furthermore, with the on-going event schedule, we needed quick setup and thankfully the K-array system was able to meet all of our demands. 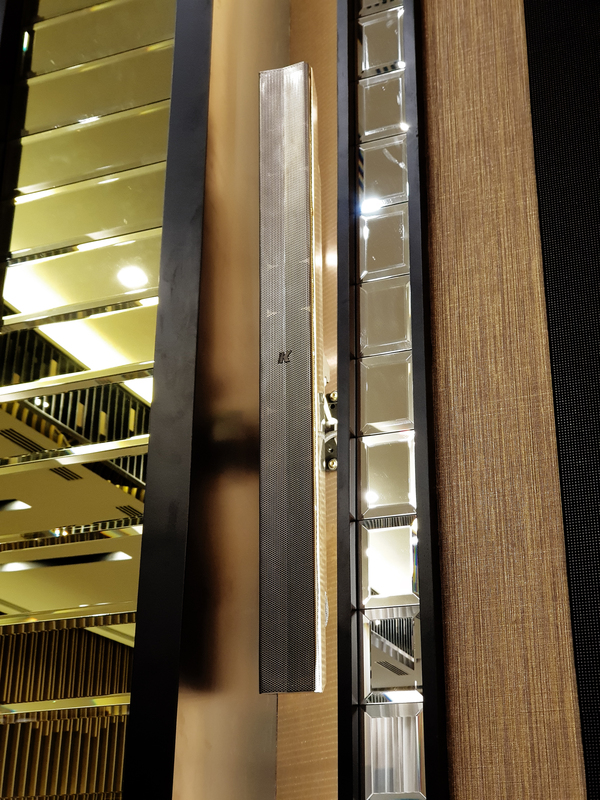 The added bonus is their compact design and rose gold polished finish that produced a mirrored effect.